The US Army is going to seek death penalty for Washington soldier charged with killing 16 Afghan villagers in what was dubbed the Kandahar massacre, AP reports. Staff Sgt. 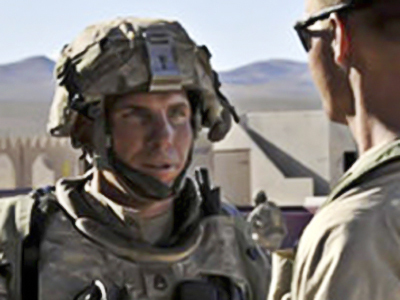 Robert Bales faces charges of premeditated murder and other offences in the attack on two villages in southern Afghanistan on March 11. The prosecution says the soldier left his remote base in southern Afghanistan on March 11 and went on the rampage in nearby villages in the Panjwai district of Kandahar province. Bales allegedly killed four people all from the same family in the first village he visited. He then returned to his base before heading out to attack another village, where he slaughtered another 12 people. In total 9 children, 3 women and 4 men lost their lives. A further 6 people were wounded. The announcement follows a pre-trial hearing last month. No date has been set for his court martial, which is due to take place at Joint Base Lewis-McChord, south of Seattle in Washington state. Bales’ defense team insists the case is incomplete and it still needs to be determined if the soldier who served tours of duty in Iraq and Afghanistan, suffered from post-traumatic stress disorder. 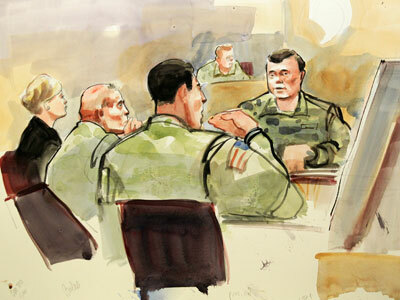 Bales' civilian lawyer, John Henry Browne, argues his client should not face the death penalty, taking into consideration that Bales was serving his fourth deployment in a war zone. According to an Army criminal investigations special agent traces of steroids were found in Bales body three days after the killings. Other soldiers confirmed that Bales had been drinking the evening of the massacre. Overseas, Afghan officials have disputed Bales acted alone, suggesting one man could not have been responsible for such a brutal massacre. It was revealed last month that Afghan witnesses claimed that Staff Sergeant Bales was not alone during his shooting rampage. Special Agent Leona Mansapit of the Criminal Investigations Command told the court that a woman whose husband was killed saw at least to at least two American soldiers in her house. Another witness claimed he heard English being spoken outside his house while the massacre took place. 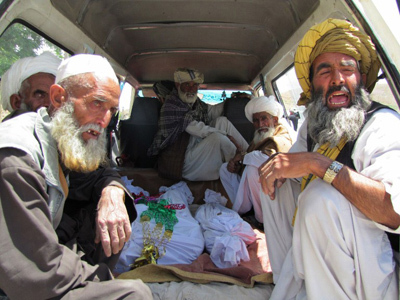 Days after the massacre several sources and officials speculated that Bales was not alone during the killings, including Afghan President Hamid Karzai.